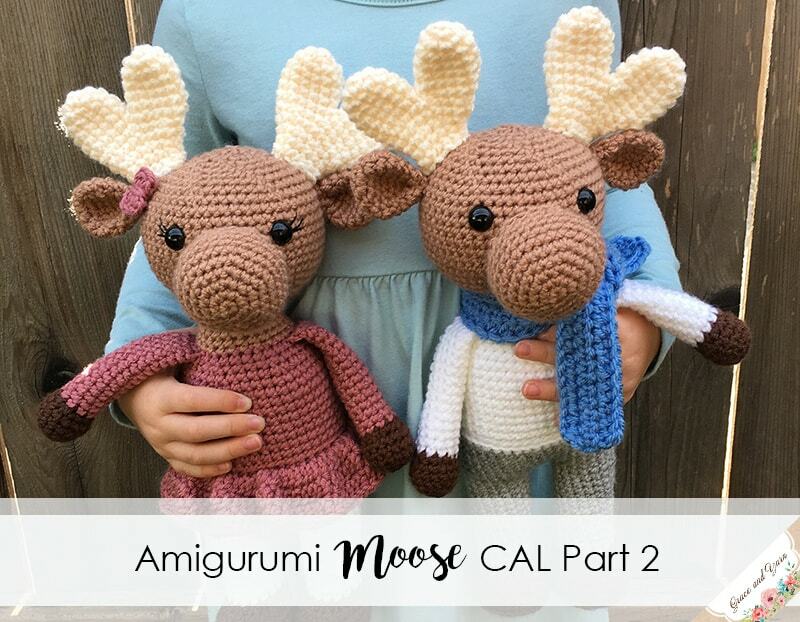 Welcome to Part 2 of our Amigurumi Moose CAL! I love all of the colors I'm seeing in the group and now it's time to add a head. 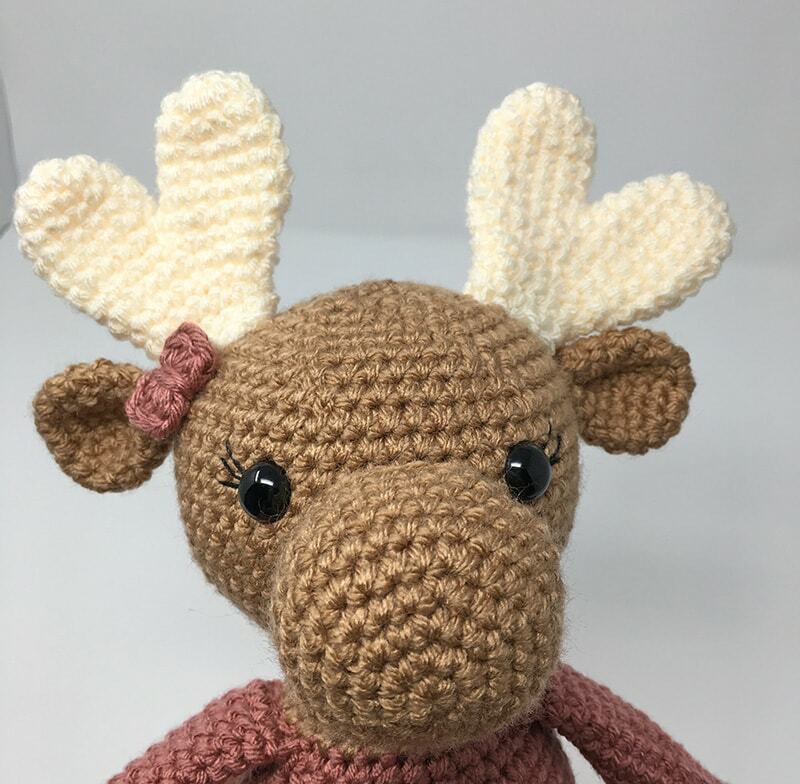 Today we will make the head, nose, ears and antlers! Plus the little bow for Millie. Feel free to add your own personalities by adding eyelashes, eyebrows or smiles as you'd like! If you are just joining in it's not too late to start. You can find all of the details about the CAL and link to Part 1 here! 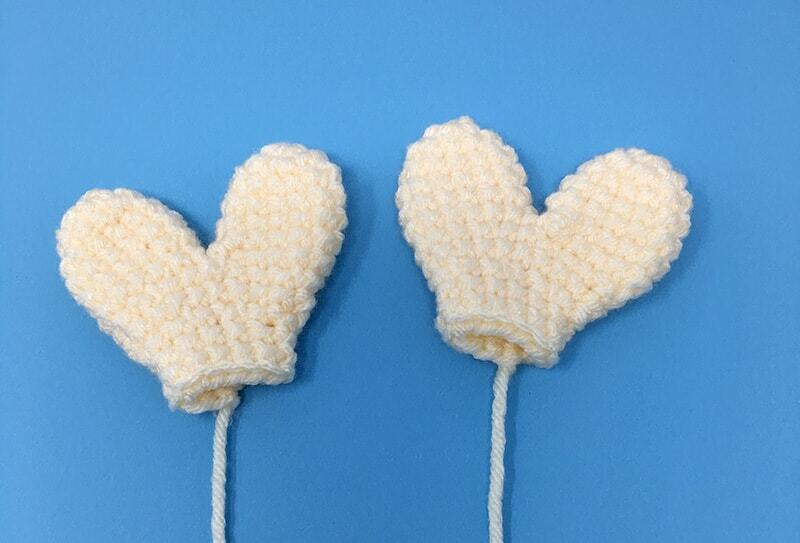 Each part will remain free here on the blog so you can crochet at your own pace. The full pattern is also available in an ad-free PDF version in my Etsy and Ravelry shop! 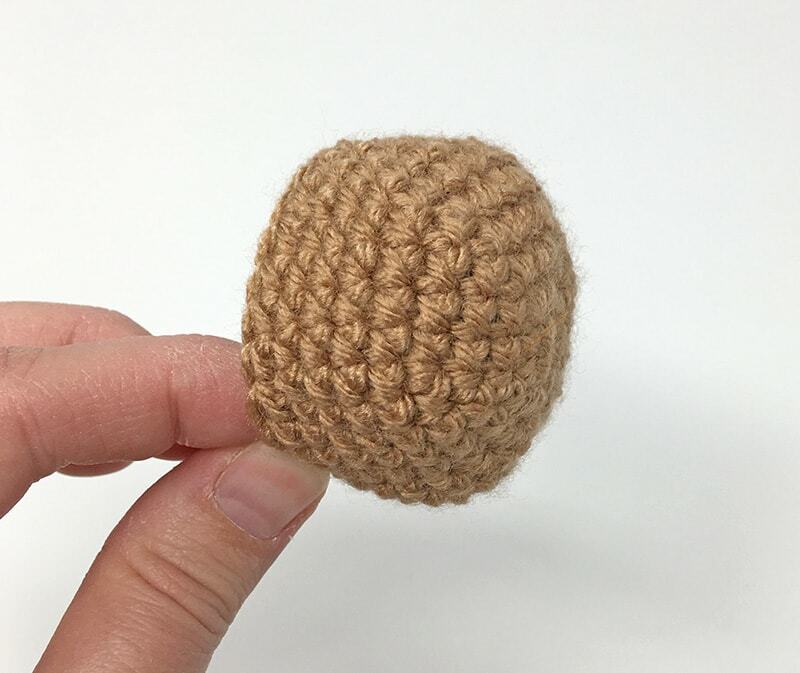 Feel free to PIN to your crochet board to find Part 2 again later! For this pattern I have used 12mm plastic safety eyes. 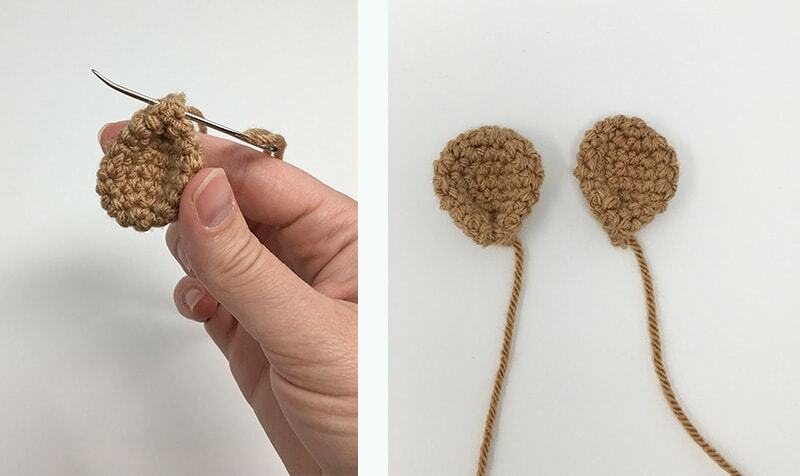 If you don't have these on hand or prefer to make crocheted eyes instead, I have a tutorial on making them with crochet thread here! Note: Here is where we will add the eyes and nose before we start closing the head. Insert the eyes between rounds 15 and 16, 8 stitches apart. Feel free to add eyelashes before securing your eyes. 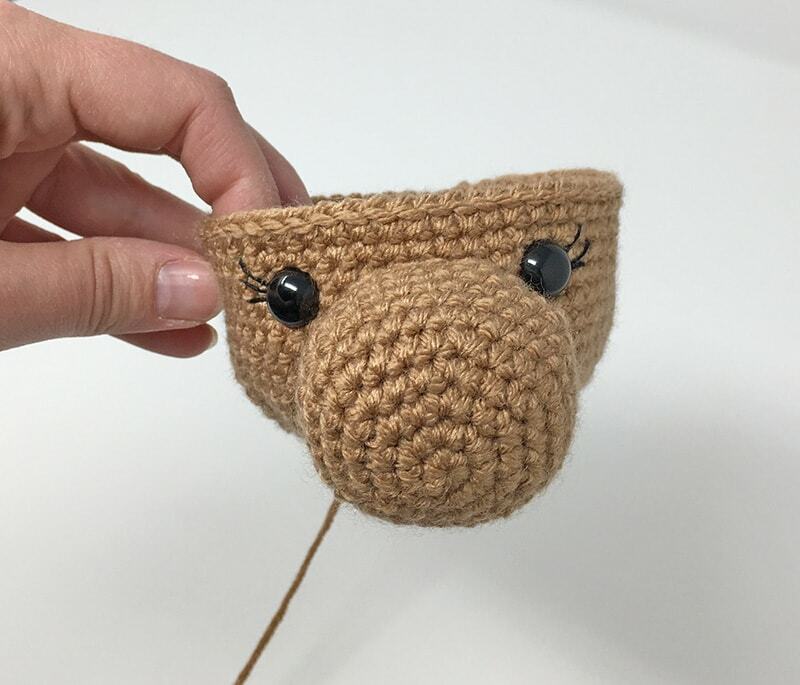 Sew the nose centered between the eyes, stuffing as you go. Fasten off leaving a long tail for sewing. Using part of the tail fold the ear in half and sew across the top to create a fold in the ear, be sure to leave enough tail to use sew onto the head. Note for the antlers: I left mine unstuffed. Each antler will consist of two pieces joined together, very similar to our joining of the legs in Part 1. Fasten off and make one more piece by repeating rounds 1-6, do not fasten off on the 2nd piece. Fasten off leaving a long tail for sewing. This completes one antler, repeat rounds 1-12 for the 2nd antler. Working in a magic circle make 4 DC, slip stitch, 4 DC and slip stitch again. 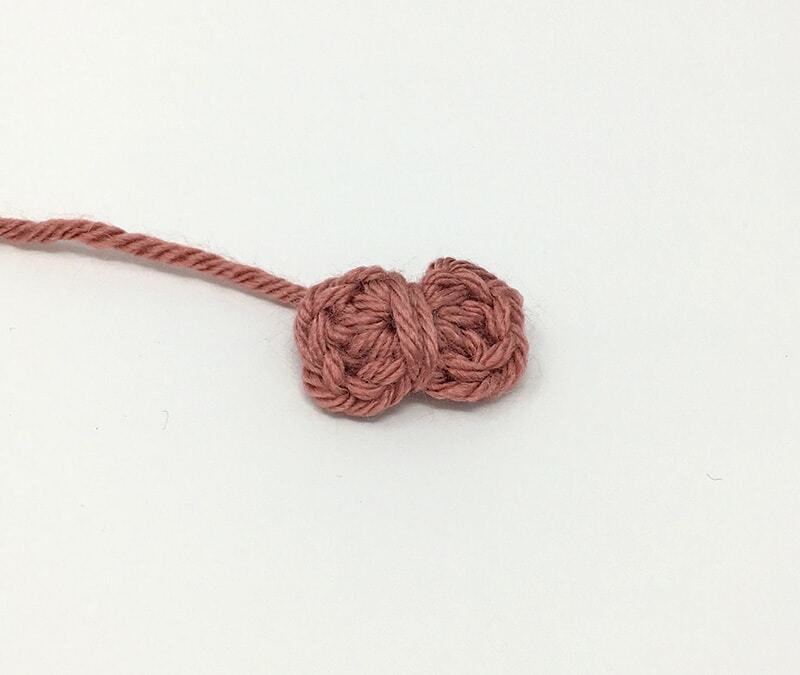 Pull your string tight and wrap it around the middle of the bow 3-4 times. Tie/secure in the back and cut your string leaving a long section to sew with. 1. Sew the antlers onto the head starting at the 5th round and ending at the 9th round on each side. 2. Sew the ears on just below the antlers. 3. If you're making Millie attach your bow onto the desired side. 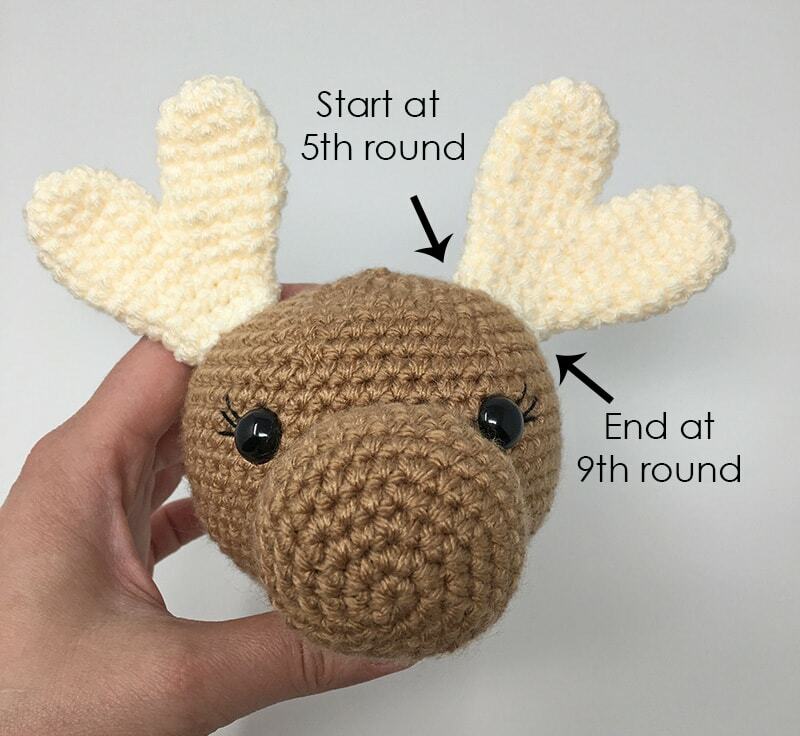 We're done with Part 2 and over halfway done making our moose! Join us back on Wednesday for Part 3, we will make the arms, scarf (for Miles) and assemble everything together!